Skypod is fast taking shape! "Skypod," aka "Slater Young and Kryz Uy's pod," is looking amazing! 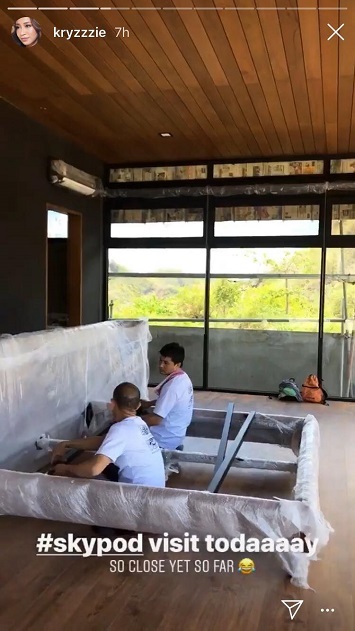 Kryz Uy took to Instagram stories earlier to share a glimpse into the work-in-progress home. "So close yet so far," and "Almost there," Kryz captioned her IG Stories. 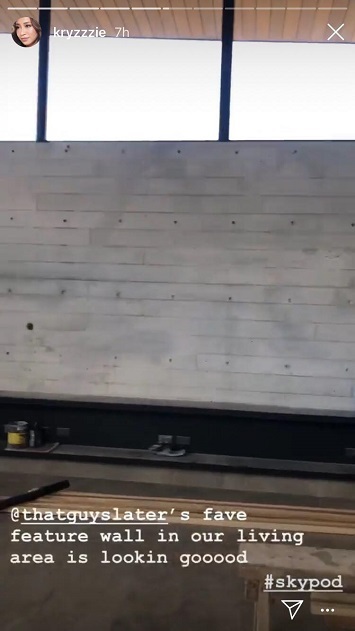 In the update, we can see wooden beamed ceilings, Slater's living area wall, which is made out of cement but with a wood grain finish, and their deck, which looks out into beautiful greenery. 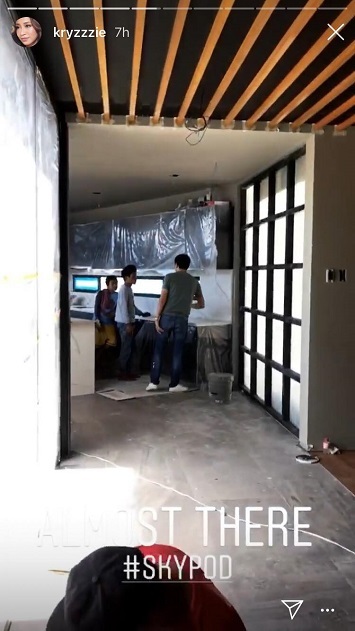 In a vlog published in December 2018, Kryz gave a tour of the construction area. She mentioned how they're trying to finish the house in less than a year when normally it takes two to three years to finish. 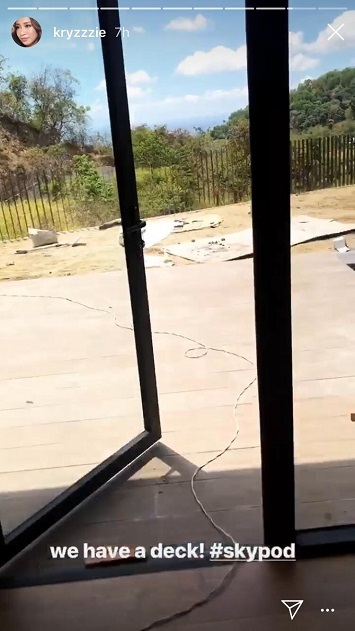 The light is totally pouring in through the glass walls and doors, which they also explained in the vlog were intentional since they wanted to create the feel of a big open space in their home. Kryz also poked fun at Slater's closet, which is just a fraction of what her closet space is going to be (an entire room). 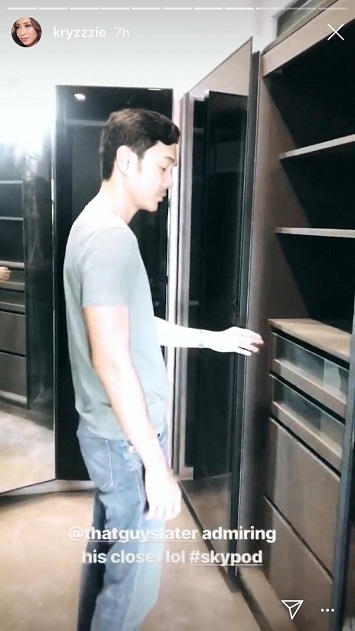 Slater also explained earlier in the same vlog that they won't have a bathtub to give way for Kryz's walk-in closet. LOL. 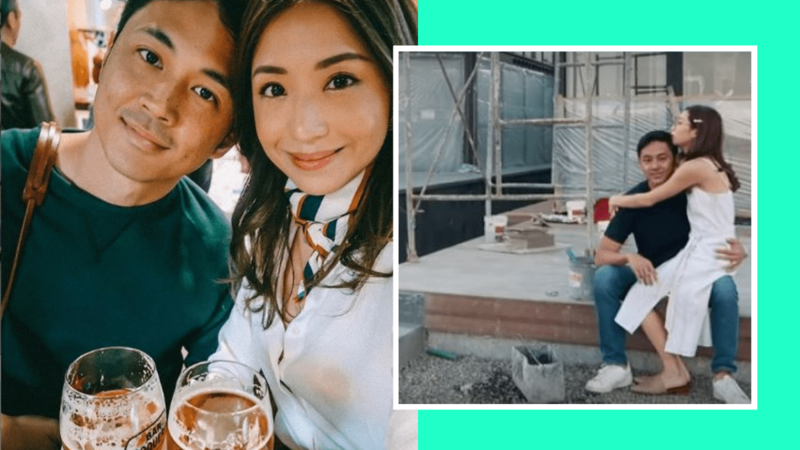 In a recent vlog, Kryz shares what a day in her life is like, especially after tying the knot with Slater. Here you'll get an even better idea of Skypod's progress, as she walks viewers through the semi-furnished interiors. 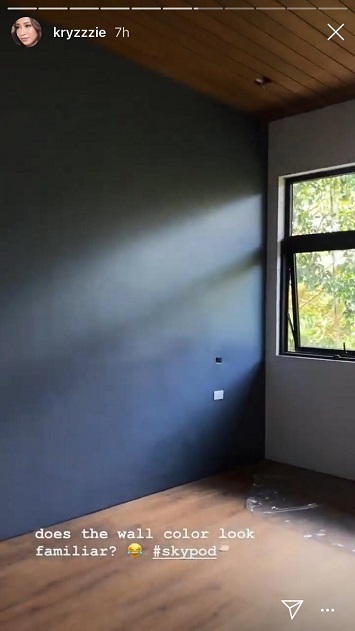 It looks like we can expect Slater and Kryz to move in anytime soon! We can't wait for more updates on Skypod.